Slideshow: Monthly composite maps of soil moisture (hover over images to pause the slideshow). 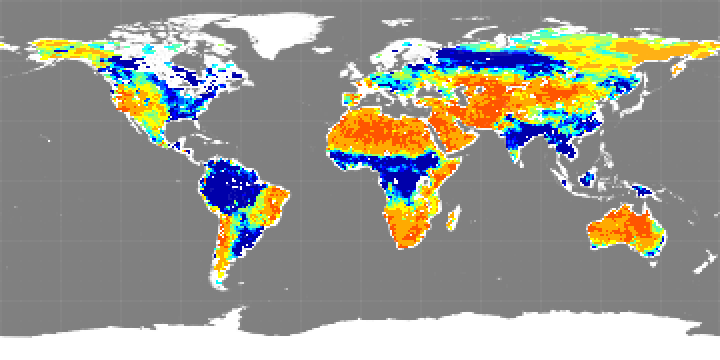 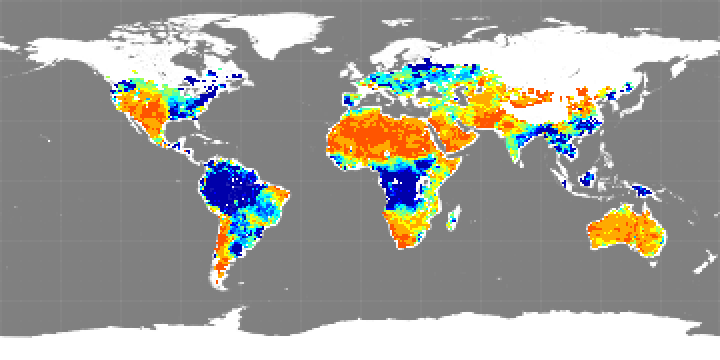 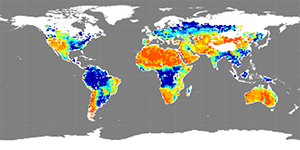 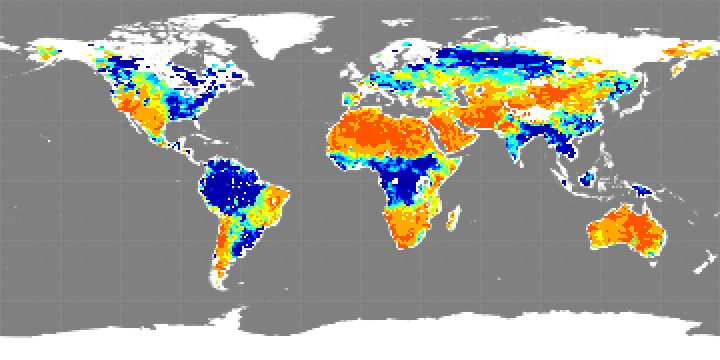 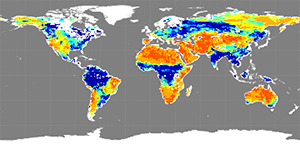 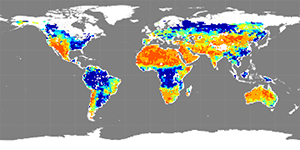 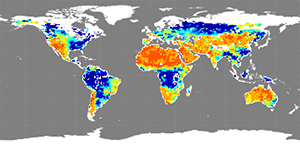 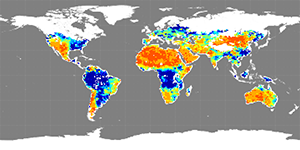 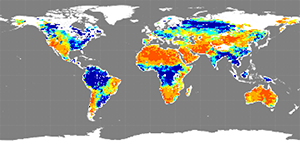 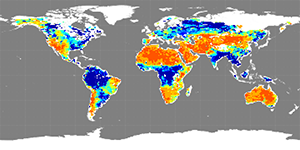 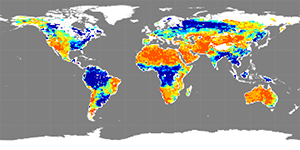 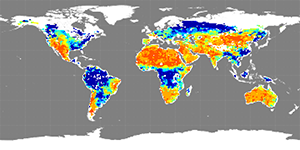 Monthly soil moisture map images, produced from Aquarius science products V5 and generated by the NASA Goddard Space Flight Center's Aquarius Data Processing System, are available here. These were derived from Aquarius' L-band horizontally polarized, brightness temperature observations, which provide higher sensitivity to soil moisture compared to vertically polarized observations, according to Principal Investigators Rajat Bindlish and Thomas Jackson, US Department of Agriculture. Click on the images (below) for a closer view. 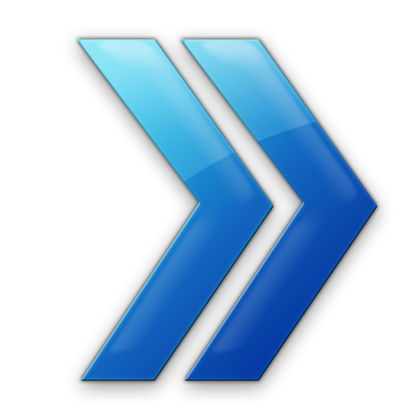 Original images are available here. 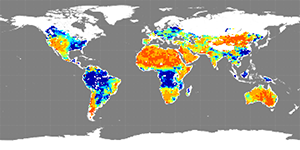 In these maps, reds show more arid conditions and blues show wetter soil conditions. 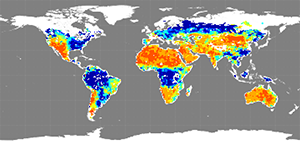 Color coding reflects volumetric fraction of soil moisture, a measure of the amount of water per unit of soil. Those interested in obtaining or using single orbit, daily, weekly, monthly, seasonal or annual data should visit the National Snow and Ice Data Center's Aquarius Soil Moisture Data page. Bindlish, R. and T. Jackson. 2013. Aquarius Level-3 Gridded 1-Degree Monthly Soil Moisture, Version 2, Boulder, Colorado USA: NASA DAAC at the National Snow and Ice Data Center.